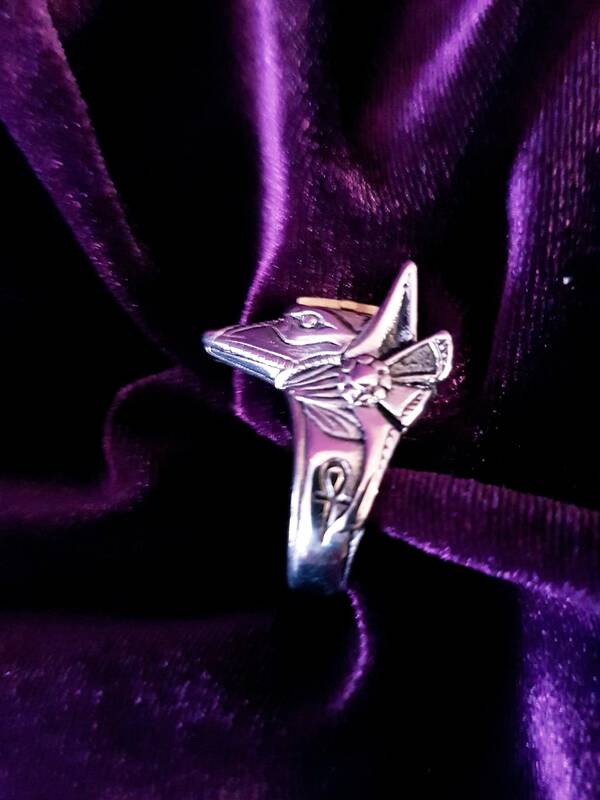 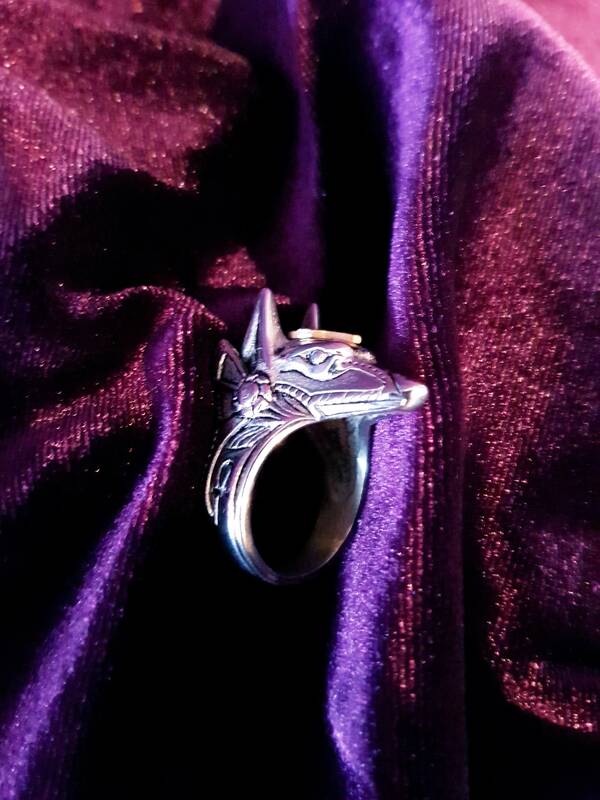 Beautiful ring depicting the Ancient Egyptian God Anubis. 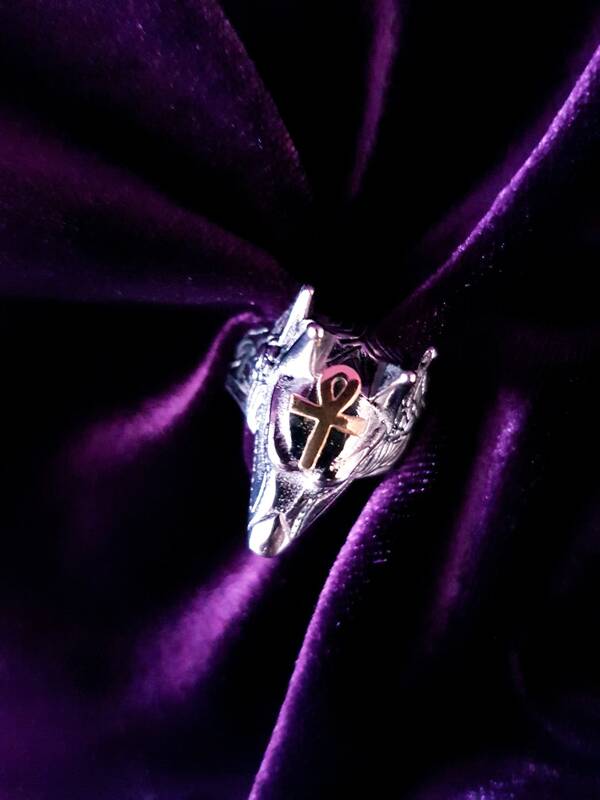 - 2 Small ankh symbols engraved at the sides of the ring. 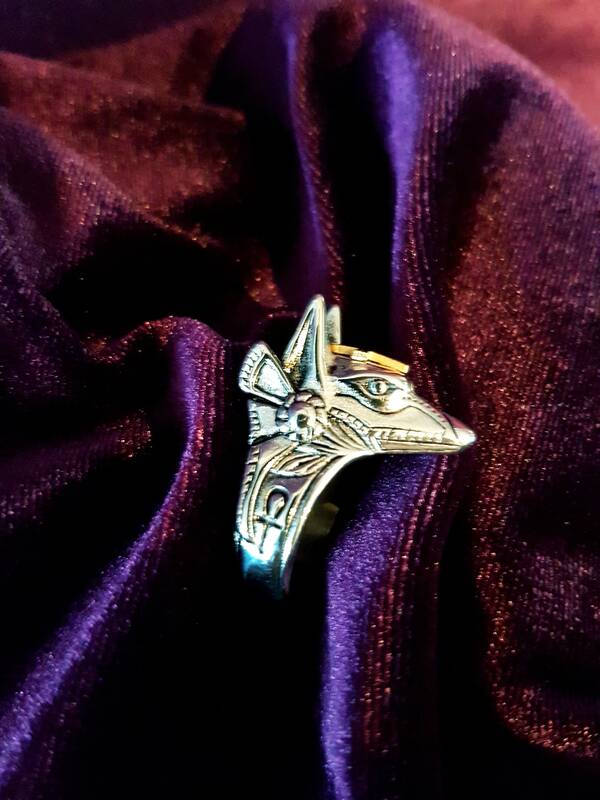 - Golden colour ankh symbol between the eyes/ears. 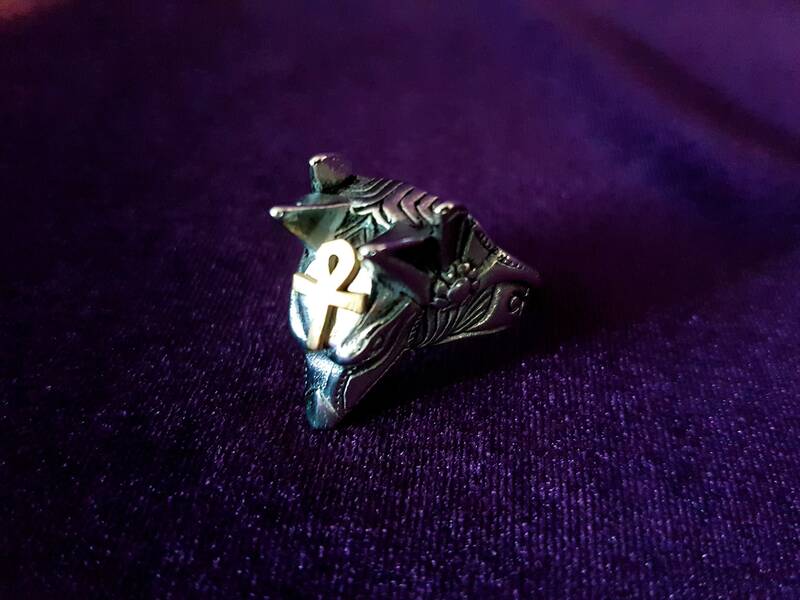 Currently only available in US sizes. 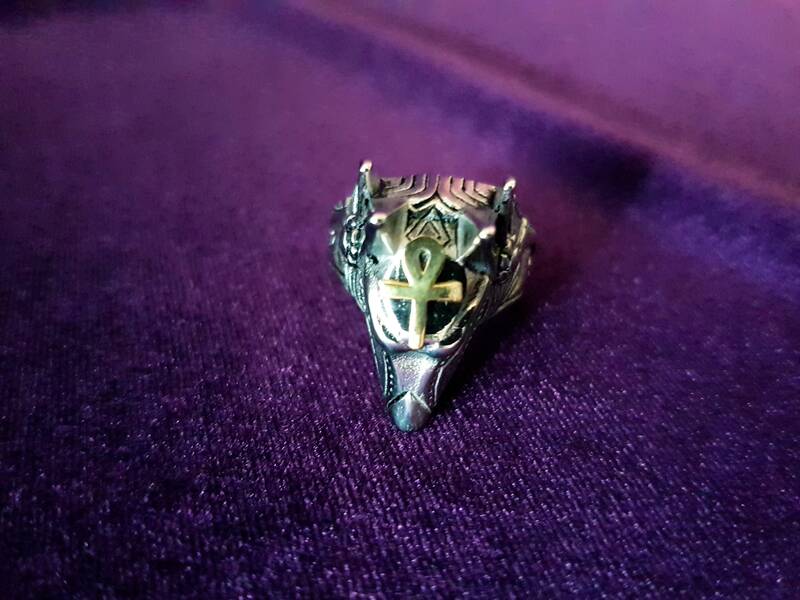 Vielen Dank für den tollen Ring.